We invite those of you with blogs to share stories of how you celebrate International Book Giving Day via our International Book Giving Day blog hop! International Book Giving Day is a volunteer initiative aimed at increasing children’s access to and enthusiasm for books. We are inviting people to celebrate International Book Giving Day on February 14th by 1. giving a book to a friend or family member, 2. leaving a book in a waiting room for children to read, or 3. donating a gently used book to a local library, hospital or shelter or to an organization that distributes used books to children in need internationally. International Book Giving Day is a wonderful day for children to get involved in giving as well as receiving books. Children can choose a favorite book and secretly leave it in a waiting room, participate in a book swap, find books on their bookshelves that they are no longer reading and donate them to a good cause, put out a book drop box at their school and collect books etc. One of the things that makes International Book Giving Day special is connecting with others from around the world who are giving books to kids! 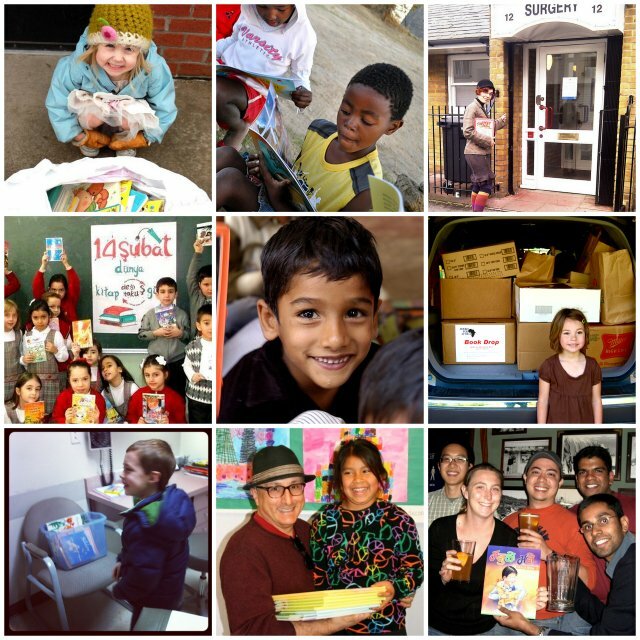 This blog hop offers one way for people from around the world to connect and share stories of how they celebrated International Book Giving Day. 1. Write a post describing how you celebrated International Book Giving Day! A short and sweet post (e.g. a photo of you or your child leaving a book in a waiting room) is welcome! The entire collection of links to stories about how people celebrated International Book Giving Day will be available at each of these blogs. The blog hop will remain live through March 21st. We invite you to share photos via Instagram or Twitter by adding the tag #giveabook. You are also invited to email photos to amy dot broadmoore at gmail dot com, and we will share them here at International Book Giving Day’s website. You can see how others around the world are celebrating International Book Giving Day by 1. following Instagram photos and tweets tagged #giveabook, 2. looking at the photos and stories that we share here at International Book Giving Day’s website, and 3. reading stories shared by bloggers as part of the International Book Giving Day blog hop.